The Newest Rant: I'm Pumped for the Upcoming Mirco Con on December 1st! 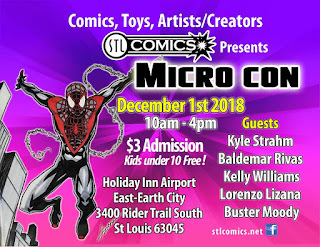 I'm Pumped for the Upcoming Mirco Con on December 1st! 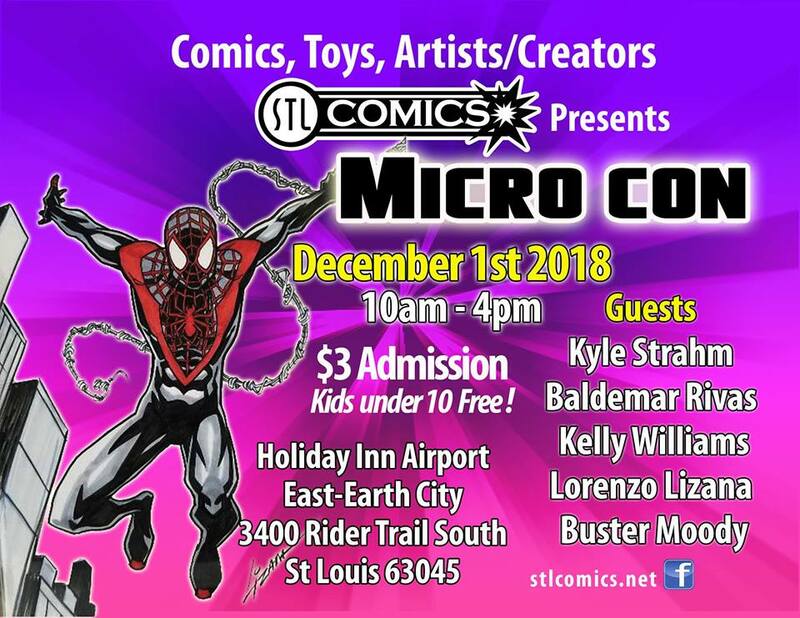 Anytime STL Comics puts on a Micro Con that I'm able to attend I get very excited. For a very reasonable price ($3, kids 10 and under are free, parking has no cost) you can visit with a variety of cool guests, observe the wares of an assortment of vendors, and otherwise have a great comic-con experience in a smaller form--instead of having to dedicate a whole day or two you just need a couple hours to have some fun. With guests including (but not limited to) Kyle Strahm and Lorenzo Lizana as well as vendors I love buying from such as Cabal Books and Wayne Kent Comics, it is sure to be a great show. I'll be there for sure sometime between 10AM-4PM at the Holiday Inn Airport West (located at 3400 Rider Trail S, Earth City, MO 63045). I hope to see anyone else who is able to attend there!